Well finally, here it is! 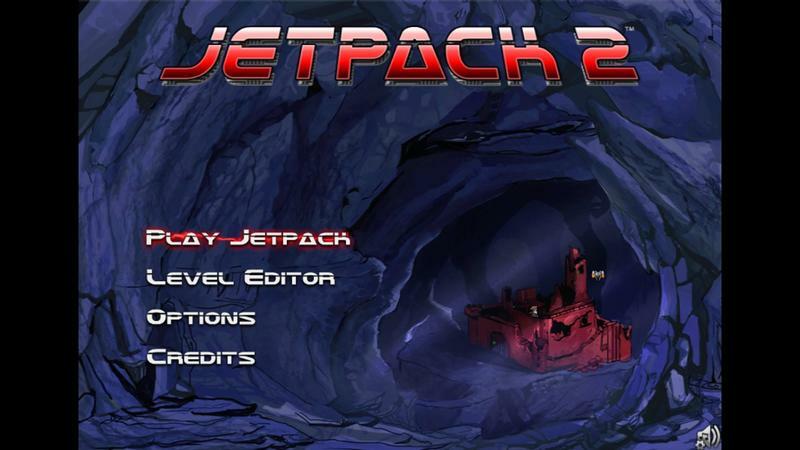 I am happy to announce, Jetpack 2 is finally released! To reward your patience, this message includes a Fan Appreciation Discount of 25% off. It has been a long road with many setbacks to get to this point. The original plan was to release in 2010, but life interfered, and I was unwilling to compromise on quality. I'm very proud of the quality of the game now, and that is also due to the great work of my most helpful and commited beta testers and level designers: InsaneJetman and SagaMusix. I also want to thank the people who contributed art assets, music and sound effects to the project. This has been a labor of love, and I'm not expecting big profits, but I'll be happy if people really enjoy the game. The version playable on JetpackHQ will automatically recognize your license key, and works on all platforms. It will even work on ipad, if you use the Puffin Browser. The windows downloadable with full screen is available now. I am looking into building downloadables for other platforms. Fan Appreciation 25% discount code: "finally"
Now get out there and make some levels! If I make a video of me playing Jetpack 2, I'll let you know. Will be a follow-up to the video I made on Part 1 last year. Yeeeeah! Great to have Jetpack 2 on my desktop. Congrats! Congratulations on the release! Looks like it's time for me to start Jetpack-ing again. Where is the quit or exit / Game End Button? For fellow Linux users: I can confirm that Jetpack 2 Windows works quite well in Wine, from what I've tested. I've played through 44% of The Infernal Maze Pt. 1 and so far, no problems. I do hope a native Linux build can come out. If you have time, it would be great if players had an ability to vote for the shared levels so the true gems would show up. Would help a longevity a great deal. By the way, is importing my own jetpack 1 levels possible? Thanks! A dream come true! I would be too old to copy them manually. By the way, good job with musics! Another idea I had (if you plan to take the game further) would be that a player could form a episode consisting 10 of his/her own levels and share the episodes with others. That's something that was always missing from pretty much every game with level editors. Oh, on the Your Payment Method page, after billing address, it says No payment modules have been installed. Is it because I'm in the UK? Someone else seemed to be having the same issue. Maybe things aren't working in other currencies? Hopefully Adam can address this issue. Meanwhile you could try purchasing in USD. Hopefully your credit card company doesn't rob you too badly on the exchange rate. Let us know how that goes if you try. Also Adam: I've got two "Dollar" options. I presume one is CAD (from the change in price, and maybe it's detecting that I'm in Canada, tho AUD is pretty similar) and the other USD. Unfortunately they're both just labelled "Dollar - $", so it's not clear. Ok, so apparently it's not enough to set up the currency, you also have to enable it in some obscure place. It should be working now, sorry for the trouble!